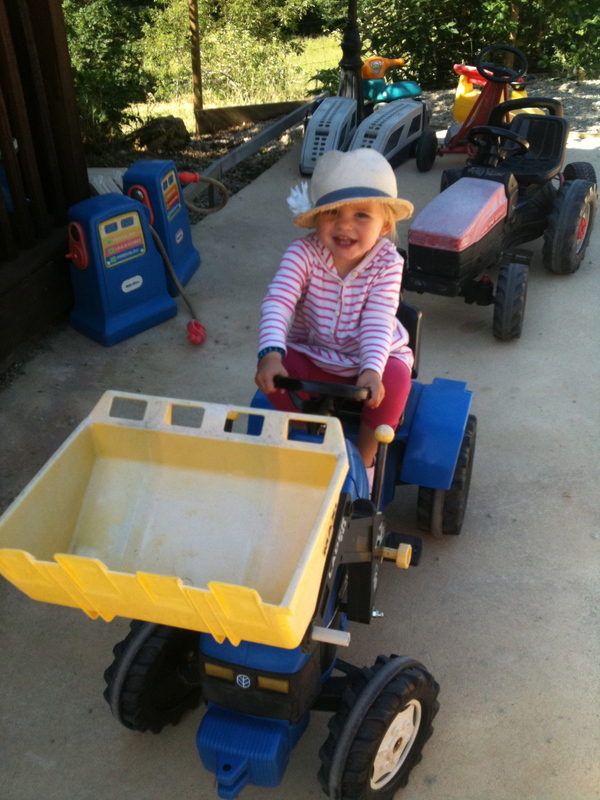 Babyski in the Languedoc-Roussillon France – Sking for 3-8 year olds no experience necessary! The amazing thing about this palce is the Babyski or Babywake. With the babyski or babywake, children from 3 years to eight years can give water skiing , apparently even if they can’t swim! I would like to think I would be brave enough to let my 5 year old do it but I am not sure… take a look at the video and let me know what you think? 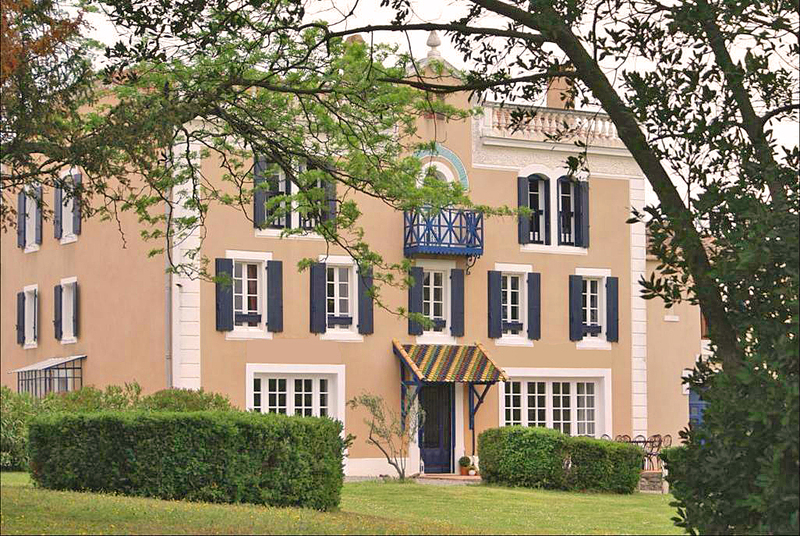 If you are having a family holiday in the Languedoc Roussillon in France, why not give it a go? But do let us know how you get on!!! This child-friendly holiday micro-resort already boasts enough to keep any family happy, so what is new…? They now offer “Gentle Touch” for their health and fitness packages – bronze, silver and gold. All guests have the bronze package included, which gives access to the heated salt pool, the jacuzzi and also a Pilates class each day. Silver and Gold packages are optional but give great value massages – including Hot Stones and Indian Head – as well as bonus stretch classes on the 100-m2 roof terrace, overlooking the wine chateau and the Med. We are also excited to announce the opening of their new 2 bedroom air conditioned apartment, which is proving already to be a great success. 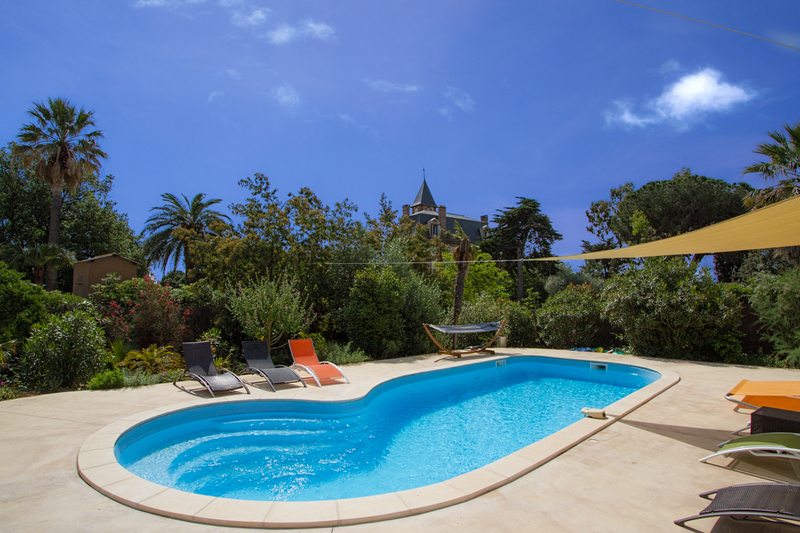 It has 3.5m high ceilings, bath and large shower and two terraces. It also stays lovely and cool during the hot summer days and is ideal for the kids as they have instant access to the play park at the back. This brings their holiday accommodation to a total of four holiday homes, two 2 bed apartments, a 3 bed apartment and ¾ bed luxury villa. All of the properties are ideal for families looking for holidays with babies, toddlers and children of all ages and the resort promises to be a relaxing holiday haven for parents too! 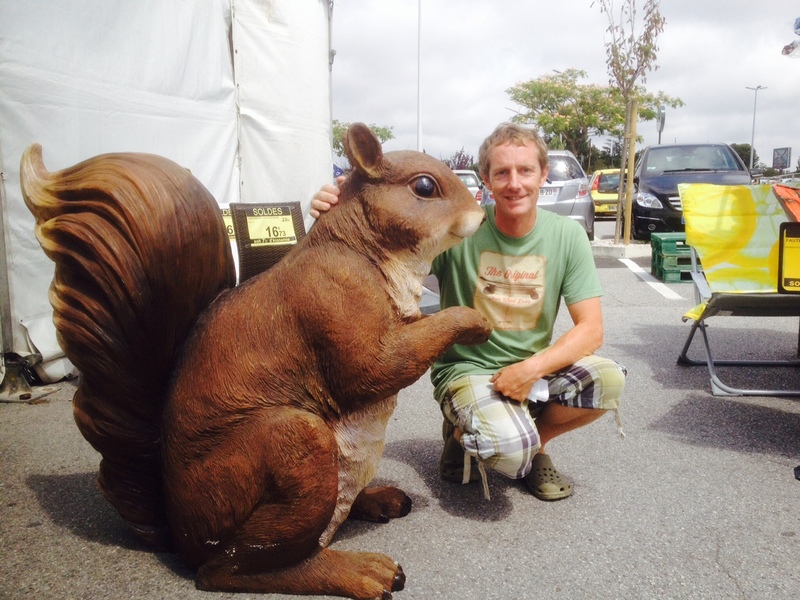 And finally… the arrival of their giant squirrel. Pictured with owner Phil, he is made of resin and is about to become a new feature within the grounds! Let’s hope he doesn’t steel all the nuts! You can see all of their holiday properties and more information on our Holiday Tots website. 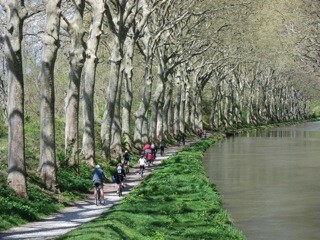 The Lot France is one of the most beautiful and undiscovered French regions. If you are looking for a place where children can run free, then this small hamlet of child-friendly holiday properties will certainly not disappoint. 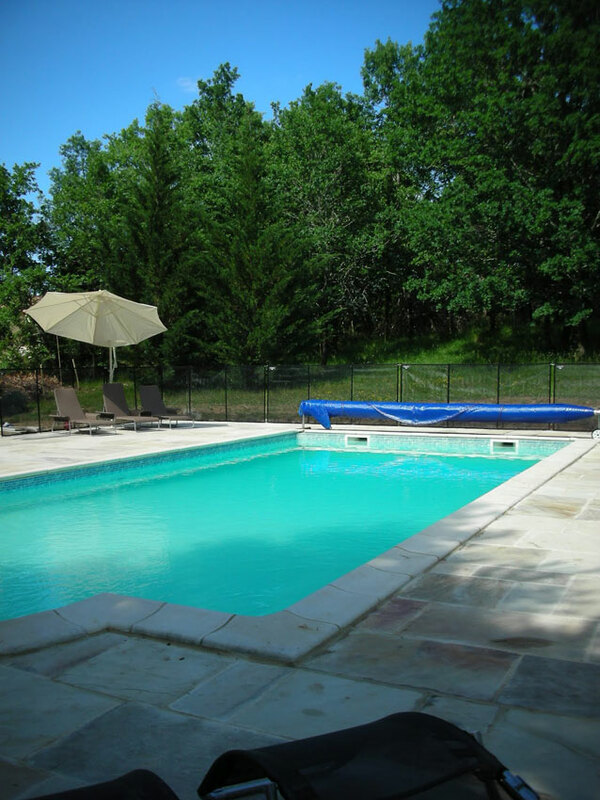 swimming pool and much much more! 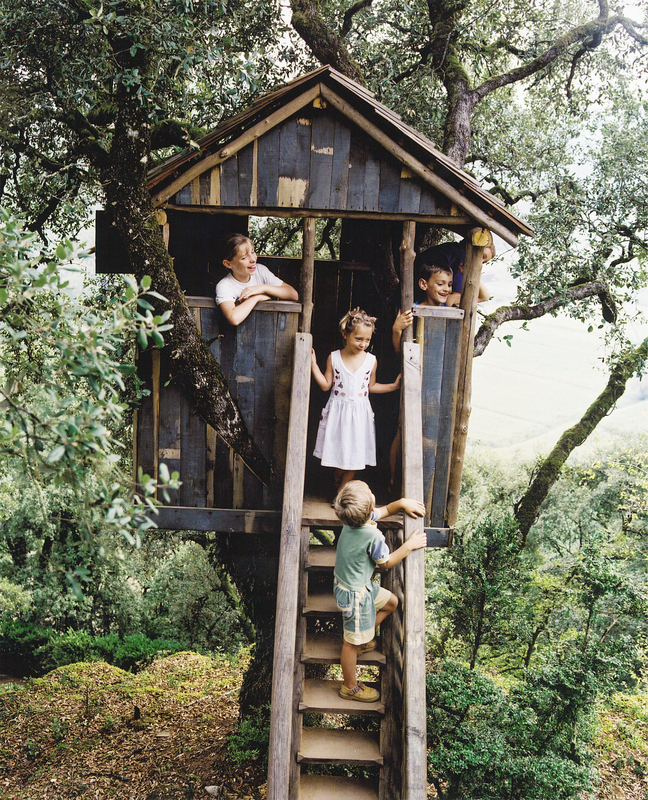 There are plenty of options when it comes to child-friendly accommodation, from luxury stone holiday cottages to glamping and lodges as there are a total of seven holiday homes. Luxury child-friendly tent for glamping under the stars! There are lots of ride on toys and dressing up outfits for all ages! For a quieter option try one of two family friendly holiday homes in their own three acres of grounds. 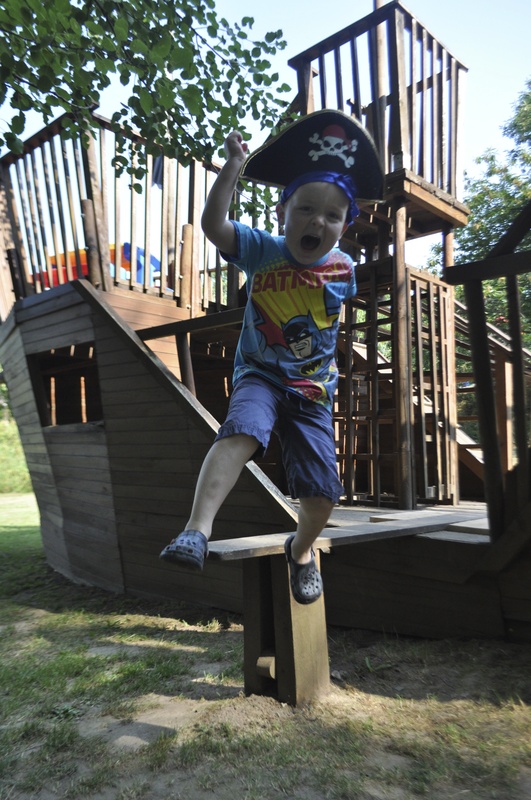 For all the holiday properties above all children receive an arrival present and have access to a huge amount of toys including lots of dressing up clothes! The local village has a lake with small sandy beach, so if the wonderful countryside and activities within the grounds are not enough you can still get a fix of sand castle building! 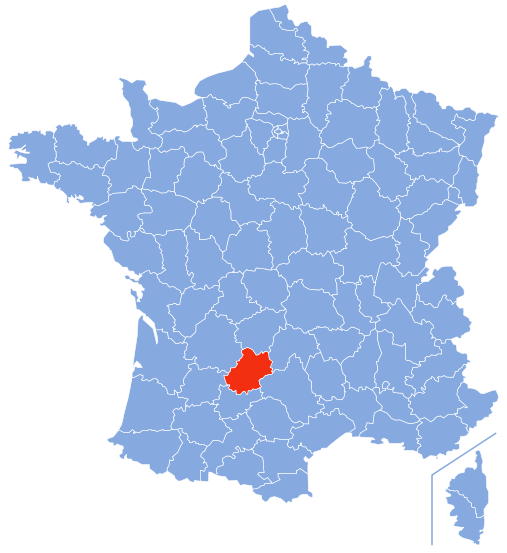 One of the most beautiful regions in France is the Lot, it is still relatively undiscovered and enjoys a micro climate of hot dry sunny summer days and cold dry winters. The landscape is made up of fields, forests, vineyards, farmland, historic hill-top towns, dramatic gorges and slow moving rivers. 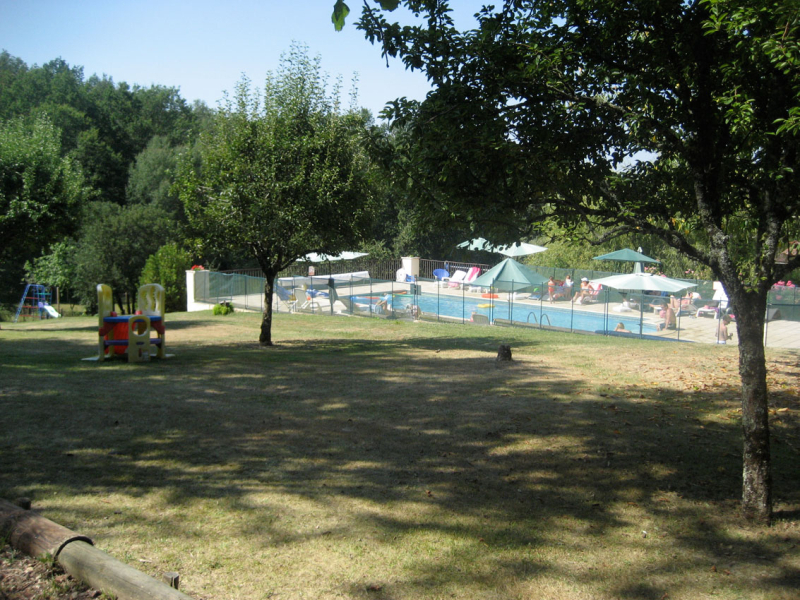 Here Marion talks about her life here with her family and her wonderful three child-friendly holiday gites. We are a family of three – myself Marion a goldsmith by trade and originally from Germany, my husband Ray who was a Project Manager in London but is now a lumberjack, roofer, painter, pool attendant, etc and our seven year old daughter Katie who loves piano, ballet and Cbeebies (Katie Morag is her favourite programme at the moment)……….plus Milly, the cat. We lived in Teddington near London before we decided to move to the Lot region in France in November 2011. 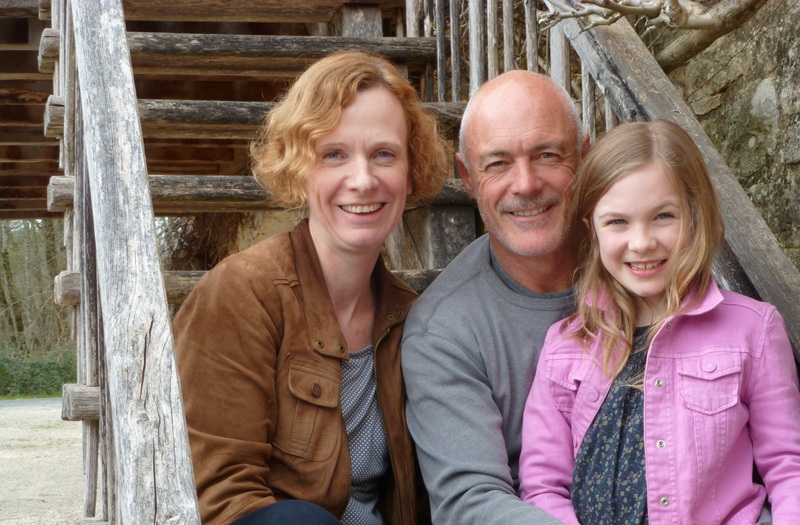 For seven years we holidayed in the southern regions of France and we always thought it would be great to be able to experience the French way of life permanently while running and developing a family oriented business. When Katie came along I had to stop running my jewellery gallery in London, and with my husband working abroad during the week and only being at home at weekends, we thought this is the time to make the move. I started looking for a house with gîtes for sale, and I came across these and we decided to make the big step. We moved into the house at the end of January 2012, during one of the coldest winters the region had experienced for many decades, but when spring finally arrived it was so amazing to see all our trees (and we have a lot of them around us) coming back to life. We have also had some fantastic families staying with us in our first two seasons, and seeing them relaxed and enjoying “La Dolce” really brings a smile to my face. I love the space and openness the Lot region offers. It is so unspoilt and for me one of the most beautiful areas in France……….the vast fields of sunflowers, the soft rolling country side, the Lot valley with its stunning medieval villages, the wild life we have around us (great for the children to discover), the local wine and fantastic food,……….I could go on and on. We have of course the same normal family life as we did in the UK (household, school, activities outside school), I (Marion) am also an active member of the Parent Association of Katie’s primary school (e.g. organising events). 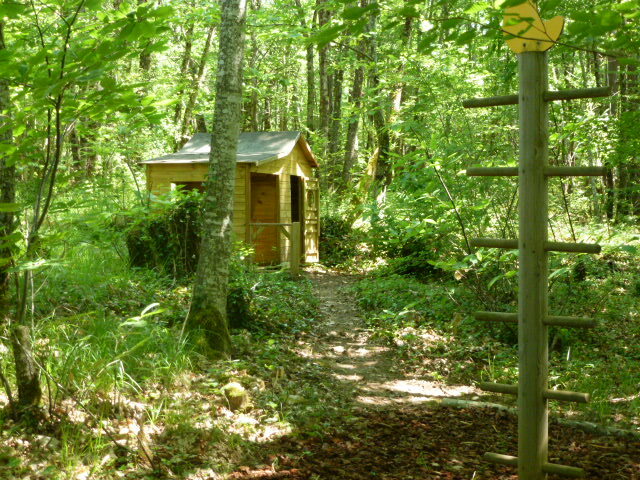 We are also working through our improvement programme for the gites – last winter we updated all the bathrooms and the games room and this winter we are renovating the roofs . We were just awarded three stars in 2013 by “Atout France”, the official French body for hotel, gîte and chambre d’hôte classification. I am also updating the information folder for our guests with new restaurants we have discovered, with new places to go and things to do, dates for the medieval festivals, evening summer markets and other summer events. 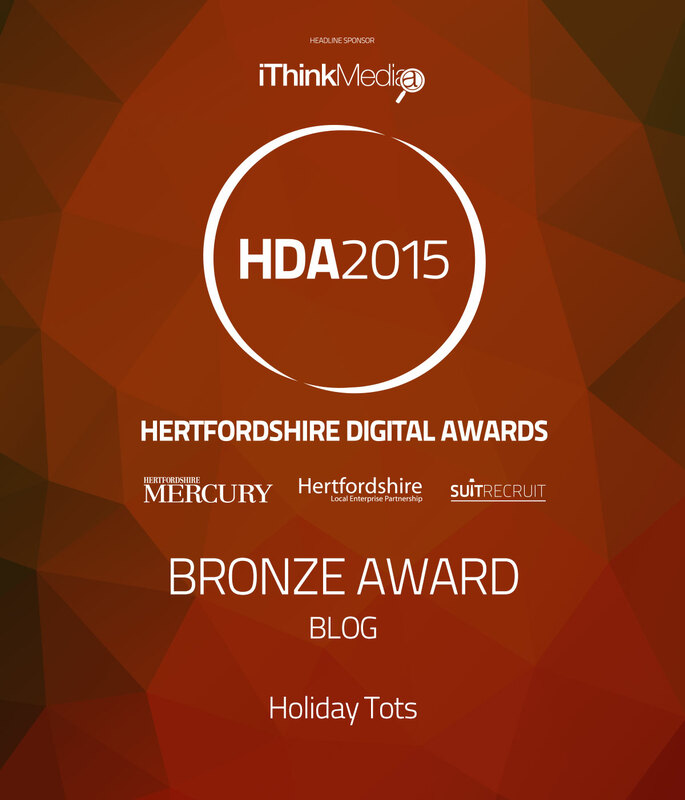 We have just had our website newly designed, so we have been busy with this as well. In the season we are busy maintaining the grounds and of course looking after our guests. 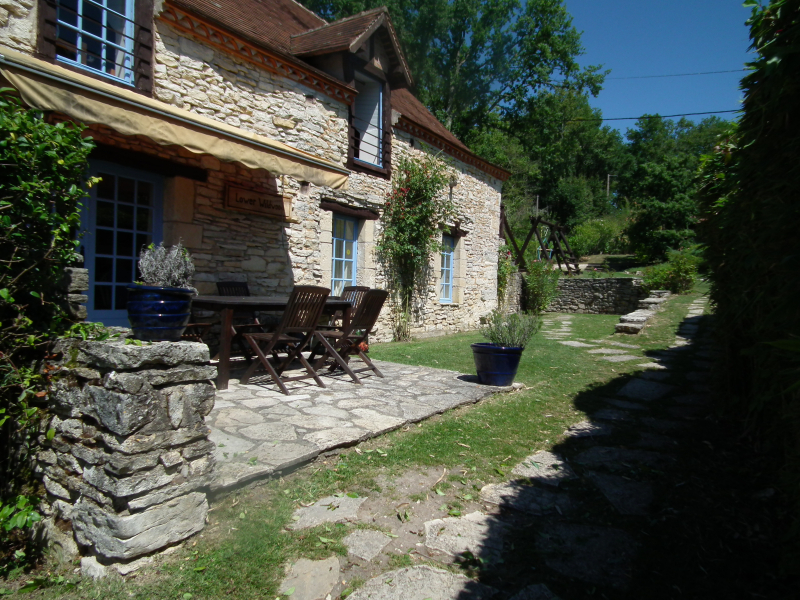 Changeover days are normally extremely hectic, as I am very particular when it comes to the cleanliness of the gites. I think it is the beautiful and tranquil setting which makes our place so special. 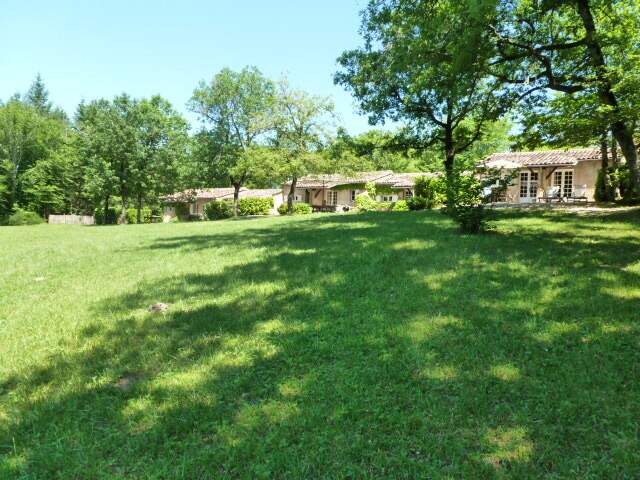 We are on 2.25ha of grounds, with the gites and our house in the middle, separated by a vast meadow and surrounded by trees. There is no traffic noise, all our guests will hear is the laughter of happy children during the day……and maybe the hooting owl at night. Difficult to decide…………but I would say firstly Les Jardins Suspendus de Marqueyssac (The Overhanging Gardens of Marqueyssac), one of the world’s most magnificent landscapes. 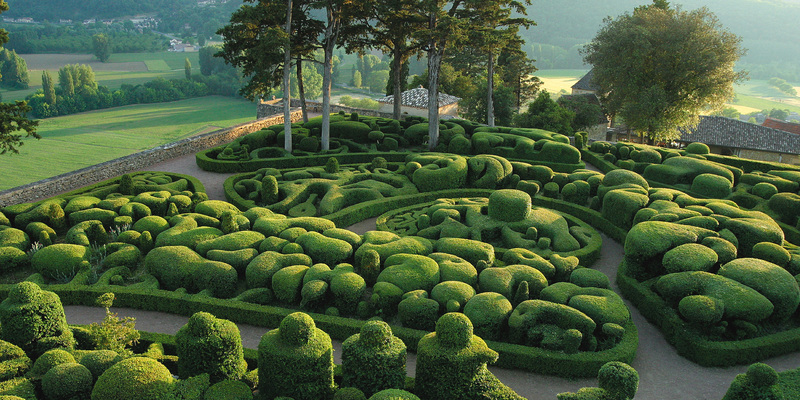 These stunningly sculptured gardens wrap around a 17th century château that sits perched above the picturesque Dordogne valley, offering fantastic views. 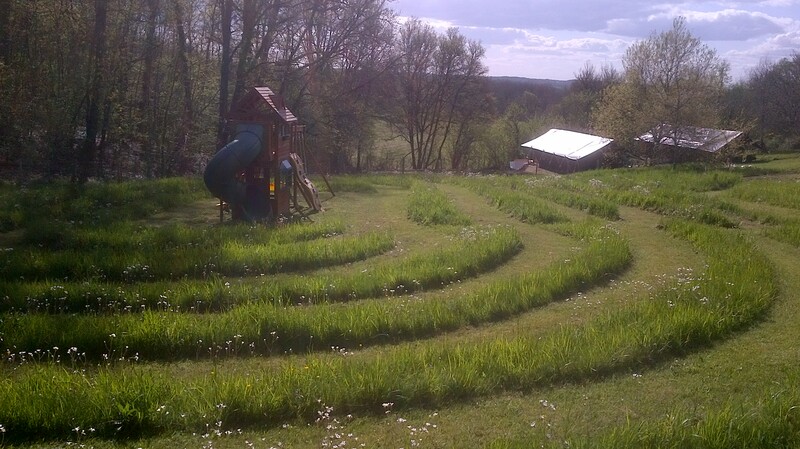 There is a maze for children and in summer they offer a lot of activities for little ones. The second place would be Château Bonaguil. This is our nearest castle and very much worth a visit. It is considered by the French to be the most beautiful fortified castle in France; and it was the last one to be built. Great for little ones to explore and a fantastic site for the medieval festival in summer! Staying with us means parents can really travel light – no need for baby equipment and toys in the luggage. 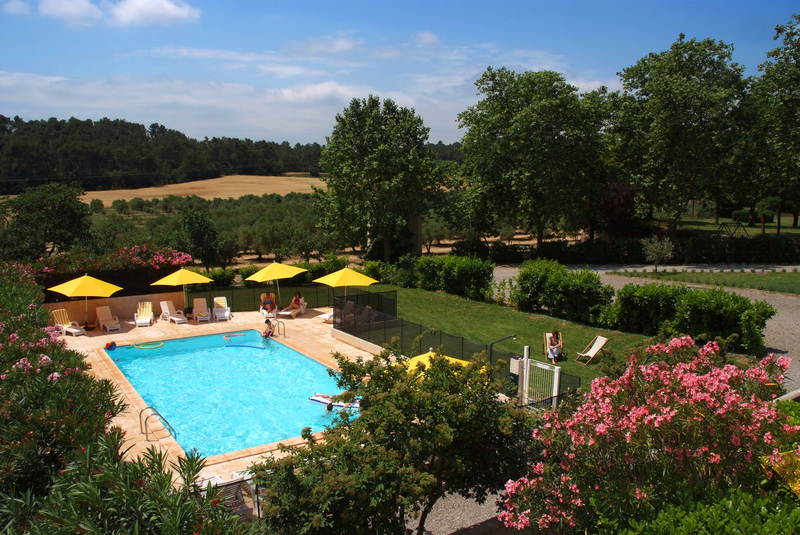 Domaine de la Dolce is a safe holiday haven, where the children will find new friends to play with while Mum and Dad relax and have a well-earned holiday. 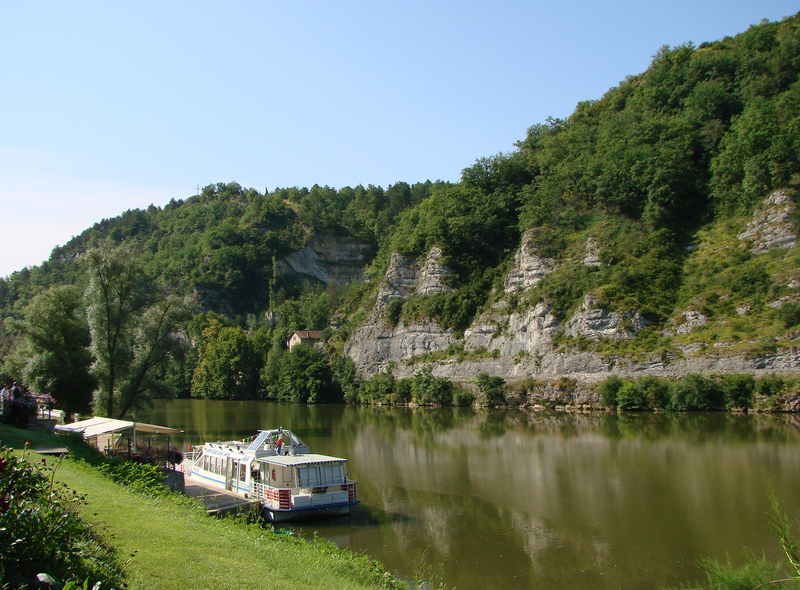 Wonderful scenery, friendly people, a lot of sunshine, great food and Cahors wine – what else does one need?